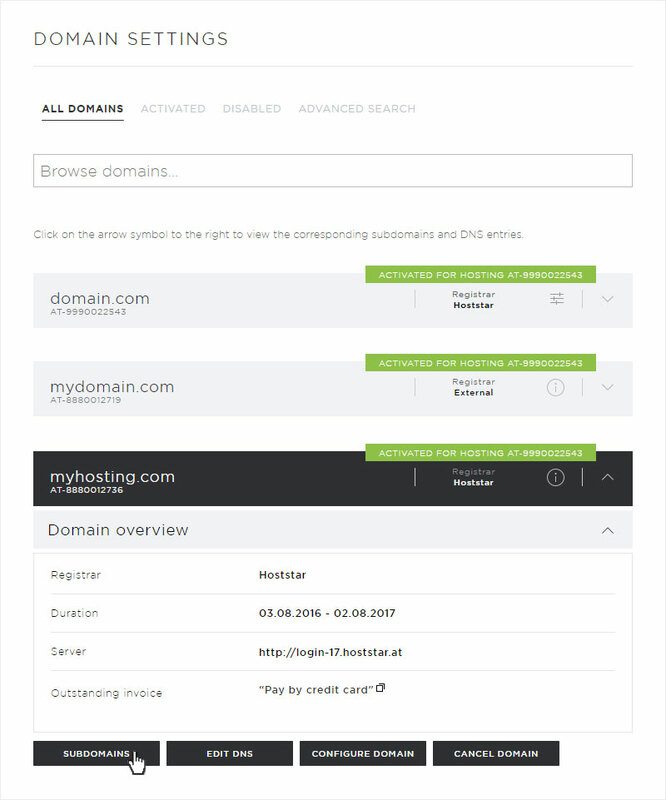 Multiple websites with different domains in the same web hosting package – it couldn’t be easier! 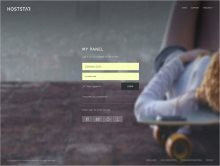 Hoststar offers you the option of using a single hosting subscription to manage multiple websites. In the description below, we assume that you are already operating a website (in our example, «www.domain.com».) You now want to set up the redirect of a new domain (in our example, «www.myhosting.com») to a separate directory. Check whether the desired domain name is already saved for the new website under «Domain» (here, for example, myhosting.com). Otherwise, click in the overview under «Add domain» and follow the instructions in «Add domain». Select there already, in which hosting the domain will be activated. If you have registered/added the new domain, you can continue with the next step in these instructions. 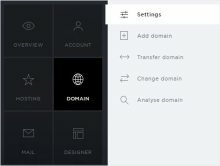 Click the «arrow icon» next to the desired domain. The details for this domain are displayed. 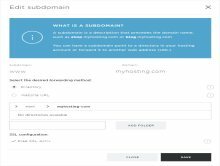 Then click on «Subdomains». Next, click on the «pencil icon» next to the desired subdomain (here, the first step, for www.myhosting.com). A pop-up appears. 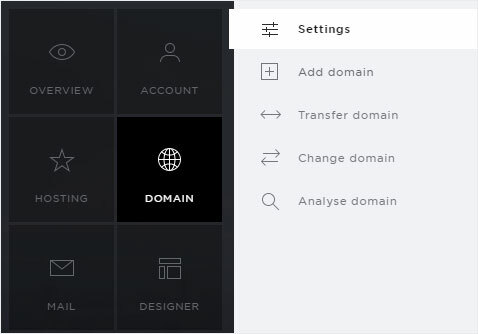 Select «Directory» under «Select the desired forwarding method». Now enter the appropriate directory name (here, myhosting.com) in the text field and click on «Add folder». If you have already created the directory, continue with «step 8». You will now see the directory you just created. Double-click the directory (here, myhosting.com) to select it as the storage location for your new website. If you want to create any of the necessary subdirectories here, click «Add folder». If you then want to install a CMS, shop system or app from the Software Center on your new website, click «Save». In the details view of the subdomain, you will now see the selected directory (here, /myhosting-com/) under «Path». For purposes of search engine optimization, we recommend redirecting only the subdomain (with «www», i.e. www.myhosting.com) to a directory and redirecting the domain without «www» (myhosting.com) to the URL http://www.myhosting.com/. 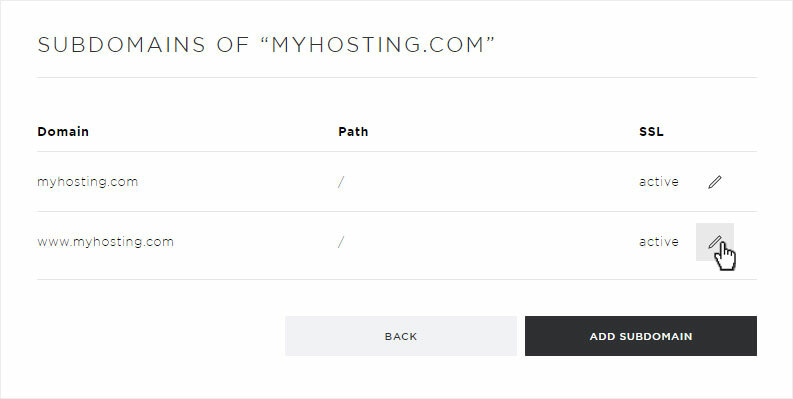 This way, your website visitors will always access your new website with «www», which will also return search engine results that clearly list www.myhosting.com. 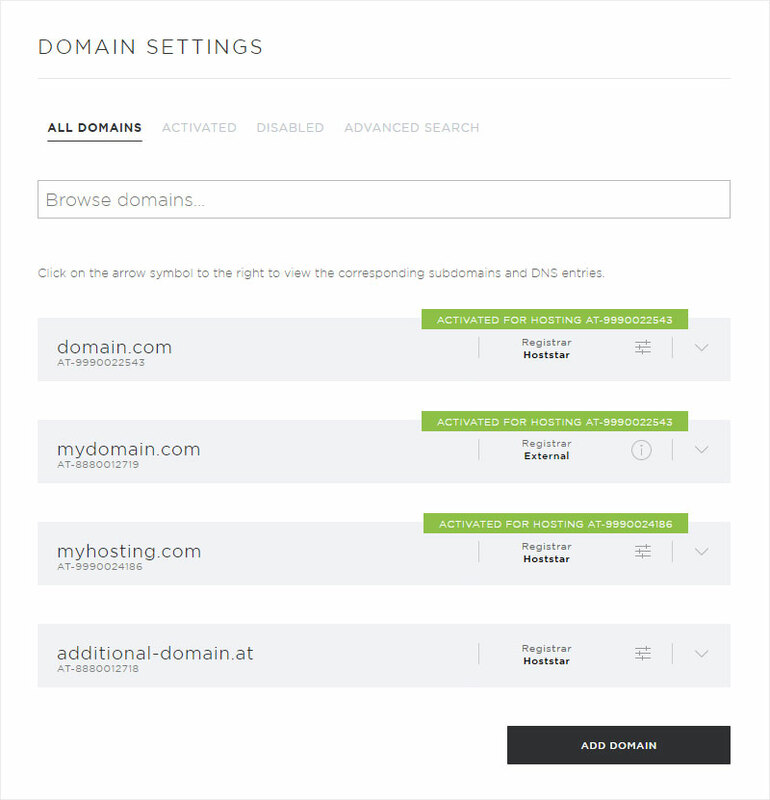 To do this, click the pencil icon next to the domain (myhosting.com). Note to expert users: this is a temporary redirect (302). We recommend that you set up a permanent redirect (301) with a .htaccess file. A pop-up appears. Click «Select Web address (URL)» under «Select the desired forwarding method». 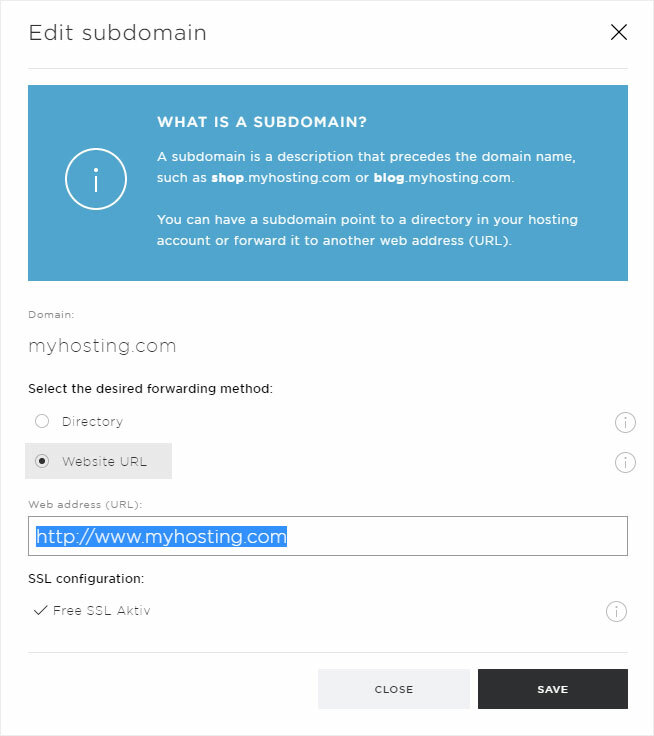 Now enter the relevant URL (here, http://www.myhosting.com/) in the text field and then click «Save». 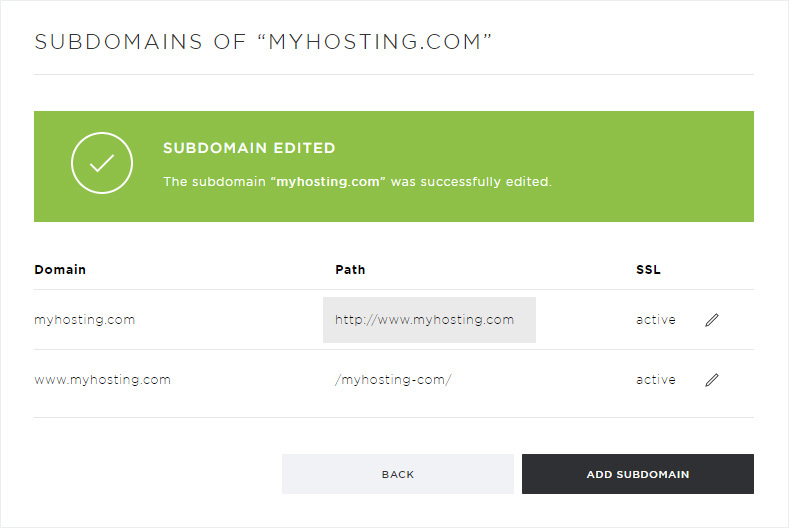 You will now see the subdomain (http://www.myhosting.com/) under «Path» in the details view of the subdomain.